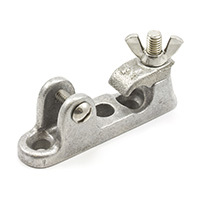 Use the following rod and rafter holders for attaching heads and rafters of awnings. 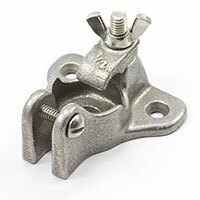 The handy fittings eliminate the need for separate clamps or hinges. 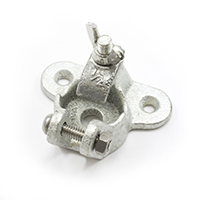 The awning hardware is available in iron and aluminum, making them excellent for sturdy mounting. Great for use on narrow trim boards, the holders are ideal for window awning and other shade applications. Try the parts with a unique awning fabric for a finished look. Or check out the latest trends in outdoor fabric supplies and accessories under our New Products.